Time to build your real-time MIDI instrument/music player! 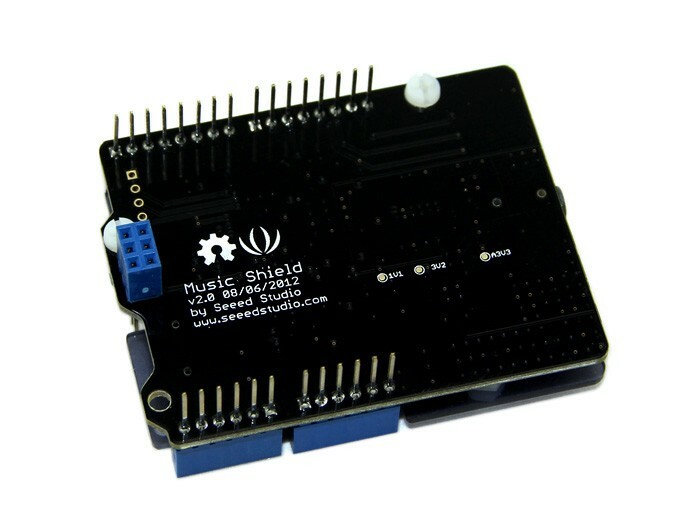 The Music Shield is an audio encoder/decoder compatible with Arduino, Seeeduino, Seeeduino Mega and Arduino Mega. It is based on the VS1053B chip, which enabled it to play sound files from SD card and do short-time recording as well. You can also use it to play MIDI notes by slightly changing its hardware installations. 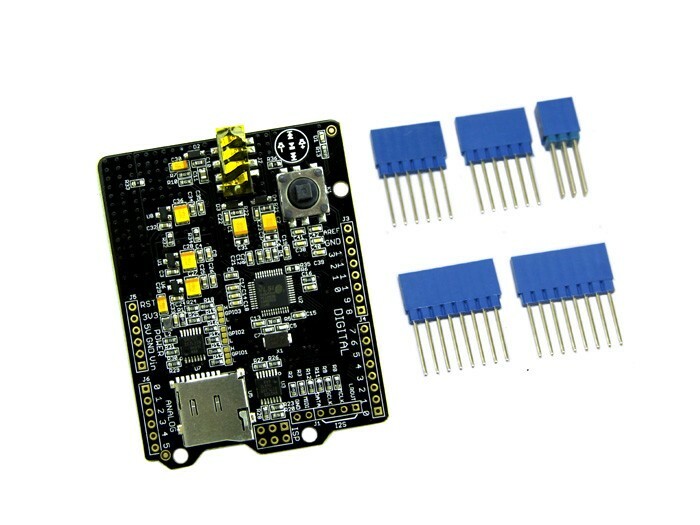 Due to the SPI communication mode, it keeps a minimum number of IO port that facilitates users’ own developments of this device. Additionally, the new multifunction button provides greater convenience for users to control. Note: Headers of this product is shipped unsoldered. Features Compatible with Arduino,Seeeduino, Arduino Mega, and Seeeduino Mega New multifunction button Supported music format: MP3,WMA,WAV,AAC,MIDI,Ogg Vorbis Supports Micro SD card 3.5mm headphone jack MIDI interface breakout High quality playback Low MIDI Latency Documents Please visit our wiki page for more info about this product. It will be appreciated if you can help us improve the documents, add more demo code or tutorials. For technical support, please post your questions to ourforum.